There are two types of cards: Character cards and spell cards. 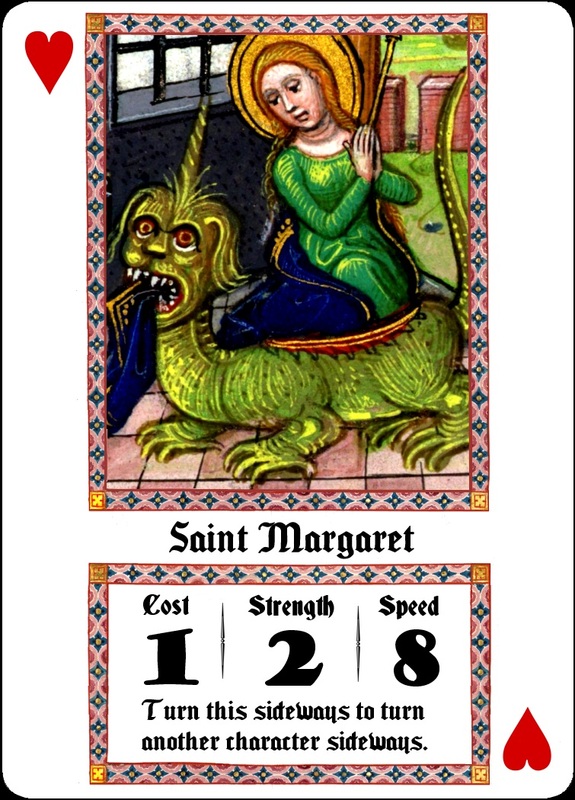 Character cards are used to attack or block. They all have three numbers (cost, strength, and speed). 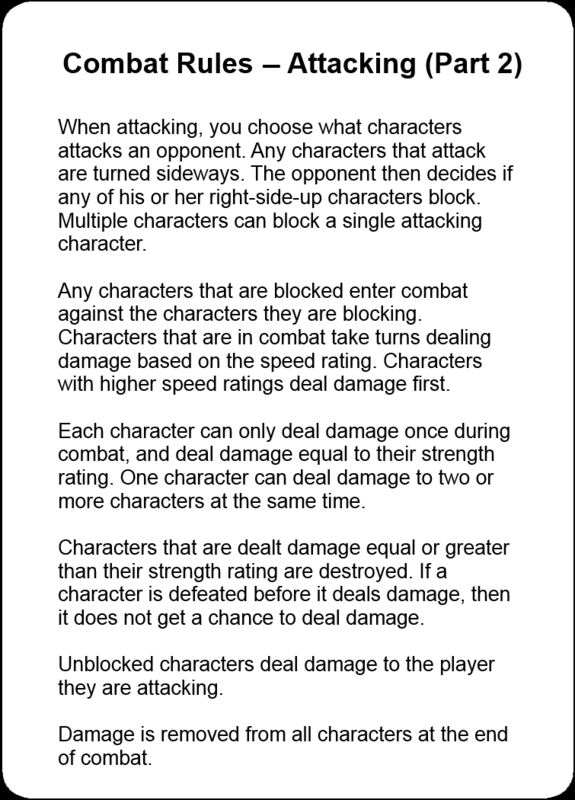 Cost is how much you have to pay to play the card, strength is how much damage it deals and must be dealt to be destroyed, and speed tells you what order the characters deal damage. 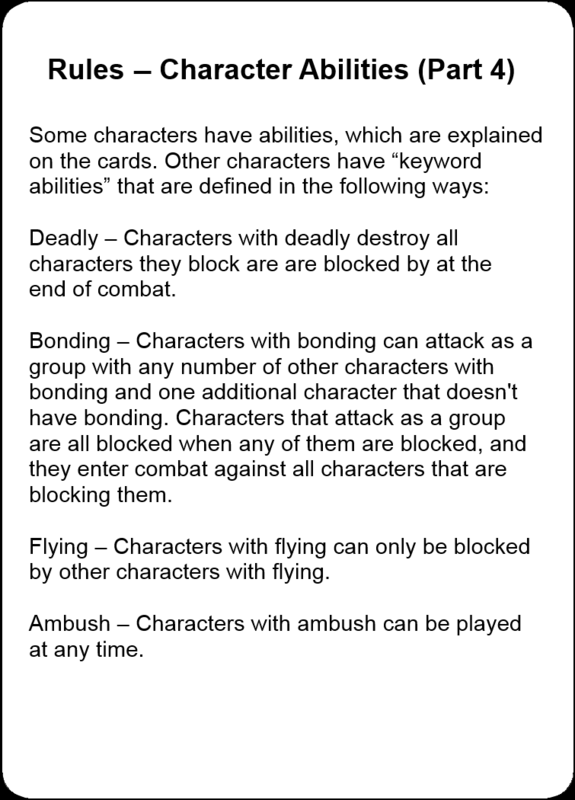 Some characters also have other abilities, which are printed on the cards. 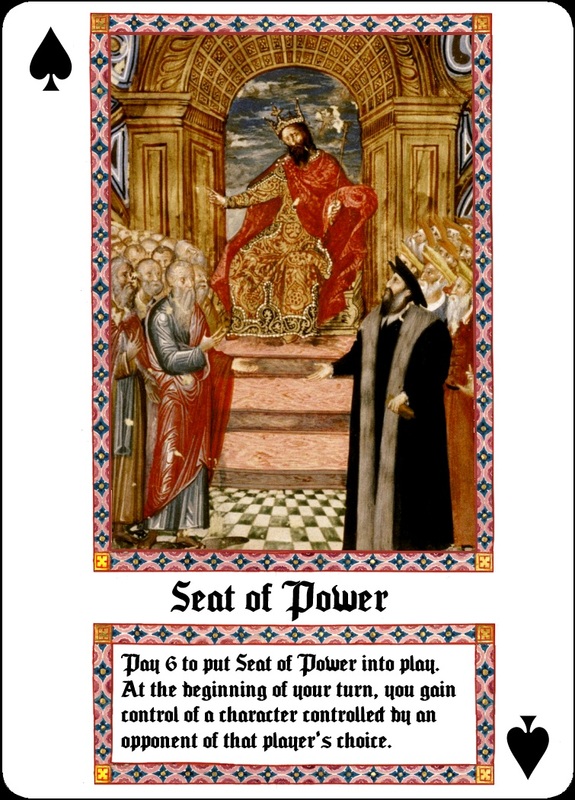 Spell cards tell you what they do on them, and many of them have a cost. Those ones say “pay x to…” Most spell cards are discarded after they take effect, but some of them stay in play and have a continuous effect on the game. The comprehensive rules can be downloaded here as a PDF file. 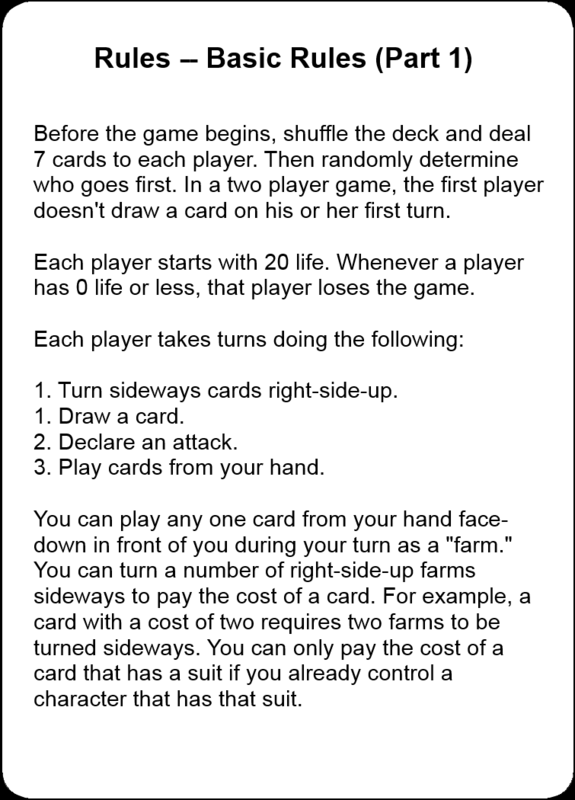 It includes rules for making your own deck, how to have various events, ways to play as teams, and how this can be used for tournaments. 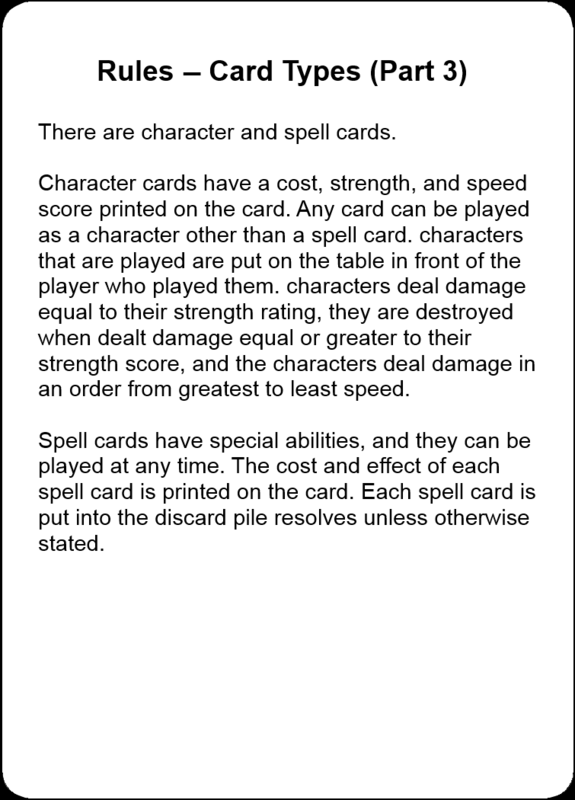 This entry was posted in game, playing cards, rules and tagged ccg, monsters, spells, tcg. Bookmark the permalink.